She was still wiping the sleep out of her eyes when the text came in from her mom. The notification of it flashed up on the screen and with barely any movement of my right hand, I pressed down upon the command center’s largest dial. A pleasant computerized voice then processed to read out the two-sentence question. My tween’s eyes, now entirely free of early morning cobwebs, were as wide as 24-hour diner pancakes and just about as sweet. “How much is this car?” she said with drama usually reserved for a TONY Award nominated play. “Not sure exactly, but definitely under $18,000”, I said, adding that “because it was one put in my Reader’s Digest roundup of the best car deals under 18k“. “I SO want this car!” my tween screamed. The white 2019 Yaris carried me to Manhattan for a couple of plays on and off Broadway, and then back home again. This was the day before I drove my 11-year-old to school in it. I seemed to use barely any gas as I powered along the NJ Turnpike in Sport mode. The 2019 Yaris clearly isn’t the same as my everyday ride, our family car, although then again this ride’s sticker shock isn’t at all shocking. It costs about a third of the price I paid for our large SUV, and gets about 2.5x the mpg. This modest, compact 2019 Toyota Yaris provided me with enough comfort for my 4+ hours of highway + city driving, even though I’m not the kind or shape of driver the engineers and designers at Toyota’s sprawling North Texas campus probably had in mind when they dreamed up the 2019 Yaris. The front seats are slender side to side, built for a driver and a passenger of a narrower gauge than I, fettuccine to my sheet of lasagna. The 2019 Yaris is, however, pitch perfect for a teen’s first car. 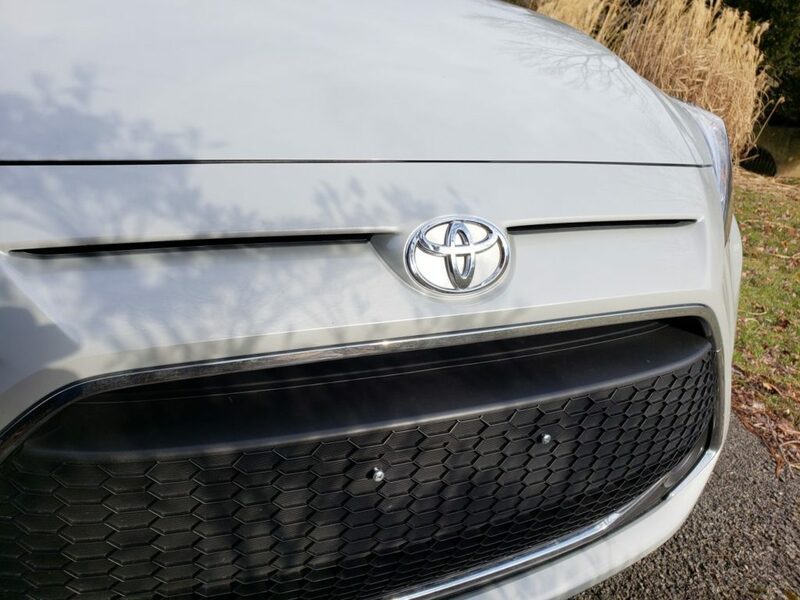 Teenagers looking for a cool, stylish, and reliable first car they can afford — and dads and moms of those teens, old-heads who care more about that text message being read aloud without an eyeball even as much as shifting downward away from traffic flow, city pedestrians, and highway medians — will love the Toyota Yaris safety features standard in every 2019 model. Hard to believe I’ll be looking for a teen’s first car soon thanks to my oldest turning 15 soon. The front of the Toyota Yaris appears to not even exist as you drive, which, when added to the low profile of the dashboard, provides a clear view of so much road out ahead. This allows for great sight-lines out of the sizable front windshield. Therefore, parking a 2019 Yaris is as easy as pie. Mmmmm, pie. Discover what it’s like to road trip in Wyoming! 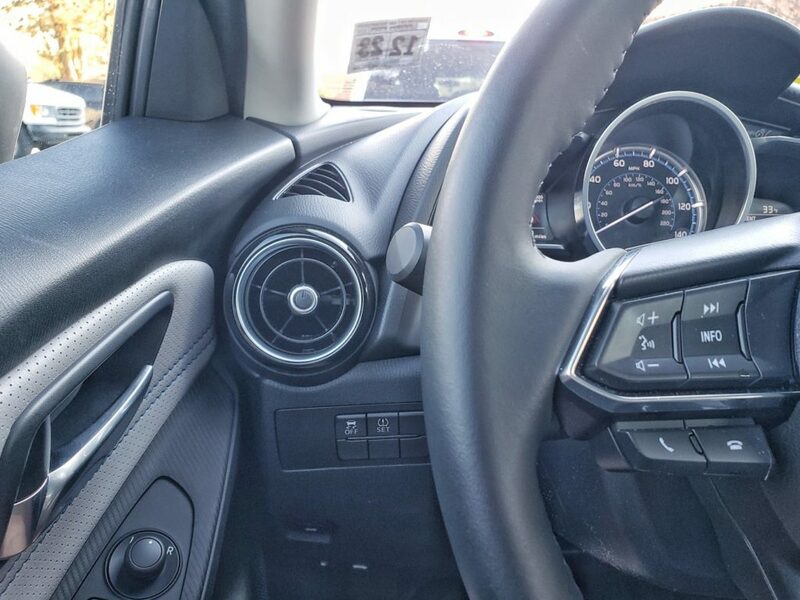 All 2019 Toyota Yaris cars come standard with a fisheye backup camera but sadly, not an armrest. I need an armrest. I had no idea what to with with my right arm the entire time I drove up and back to NYC. That center console though! It is so clever even though it does take a wee bit of time to get the hang of — a day or two and your teen will be a pro at cycling through menus, switching between Bluetooth and Sirius XM, etc. 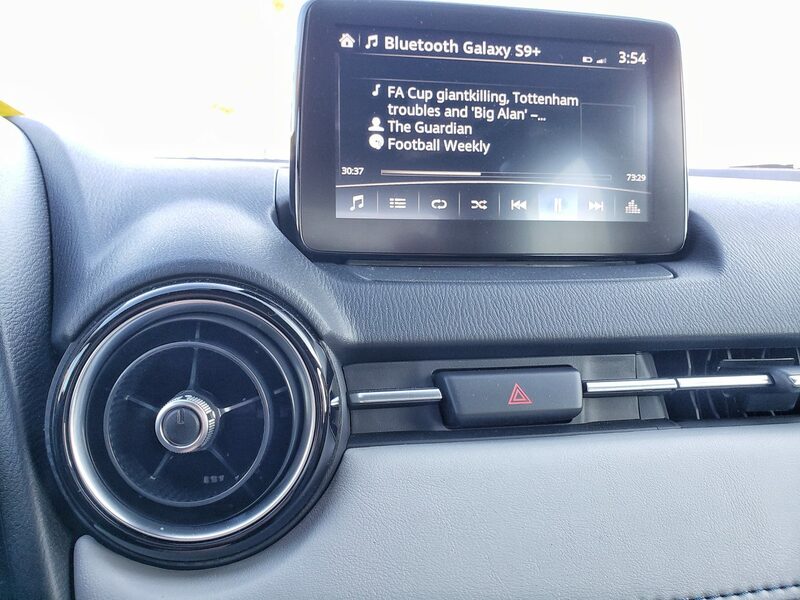 This ease of control knob is key for young drivers, to help keep their focus solely on the road ahead and fellow drivers and cars zooming around and cutting in front as cars wont to do. 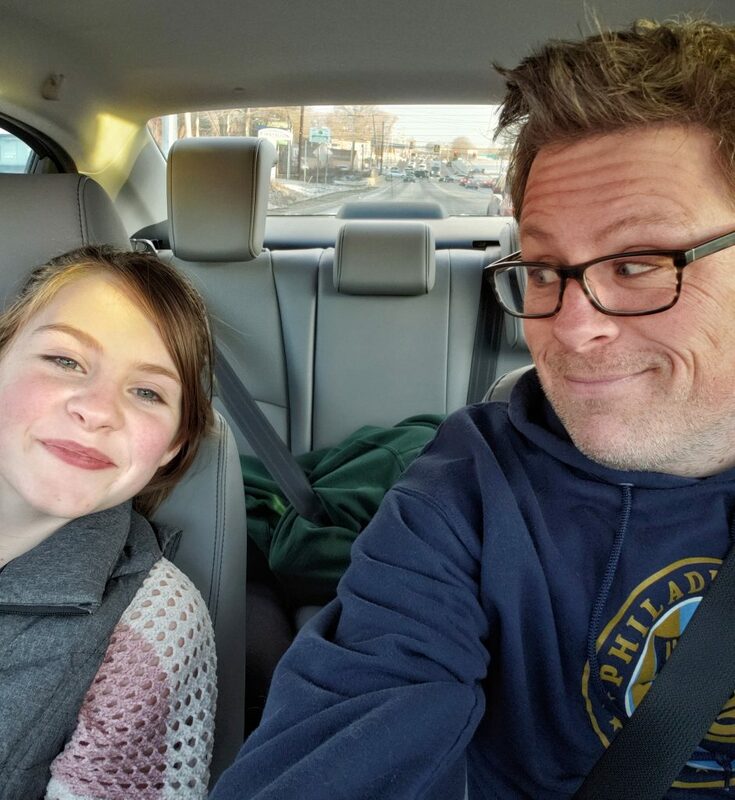 With one daughter on the precipice of 15 and her eager-to-own-a-Yaris 11-year-old sister, I’m rapidly approaching the stage of family life when it will become necessary to not only think about and research a best first car for teenagers but actually plunk down real money to help buy one for said teenager. Thanks to sub-18k price point (2019 Yaris starts at under 17k for a base model with automatic tranmission), a pretty exterior design, truly intuitive interior infotainment features, quickly responsive heat/air conditioning controls, and a standard Active Safety System and Pre-Collision System, I could see myself seated next to a giddy teenager inside our local Toyota dealership in the very near future to buy a Yaris as my first teen’s first car. Every 2019 Yaris comes with ToyotaCare, a no cost maintenance plan covering normal service and 24-hour roadside assistance for 2 years or 25,000 miles, whichever comes first. For a teen pinching every penny to own and put gas into their first car, not having to worry about paying for normal oil changes and such is a huge, huge bonus. Read about a Traveling Dad’s love/hate relationship with his Jeep Wrangler.